Many times a persons first experience with going to an astrologer is because something is going on in their life that is creating upset or chaos. Perhaps in the past they thought of astrology only as Sun sign horoscope to be taken with a grain of salt, then as the complexity of life implodes upon their sense of security, seeks deeper meaning and significance to what is happening in their personal world. A Pluto transit can be one of the most challenging and life altering times of your life. The major lesson is to let go of the past and reinvent your life; but if you cling on to anything that has served its time and purpose you will have a difficult time. Change is not always an easy thing to make happen even when we know we need change. What you know can feel safer than the unknown so letting go can take a great leap of faith. Pluto is currently in Capricorn; therefore if you have a personal planet in Capricorn, Cancer, Aries or Libra you will find that your life will have dramatic changes. The personal planets that will be impacted in varying degrees and ways are the Sun, Moon, Mercury and Venus. The reason Cancer, Aries and Libra will be under the Capricorn Pluto transit is whenever a planet makes a hard aspect, meaning a square, 90 degrees or opposition 180 degrees those planets feel the impact as well as the planet that is in the same sign. Pluto transiting your Sun impacts everything about your life that you identify with. The Sun is the sum of who we are, who we believe ourselves to be, and our identity. Therefore when there is a Pluto challenge to our Sun our identity is challenged to change. A common manifestation of this is changing your job, as many of us identify who we are and what we do when the sun is out, metaphorically speaking that is; yes I know that there are plenty of nightshift jobs. Pluto transit to your Moon is a time of deep emotional purging. Pluto to your Mercury is a time in your life when your beliefs and what you have always thought is challenged. Pluto to your Venus is a major challenge to your relationship. It is one of the indicators of divorce and break up unless your chart has a very healthy Venus. Then the manifestation will be more about a change in something that you value. These are simplistic terms for Pluto transits, yet it is a start. Meditate on the impermanence of life when you are under the cloud of Pluto. 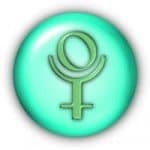 Pluto teaches us the distinction between that which we can control and that which is out of our hands. I have seen many people move through a Pluto transit with grace and ease. It can be done. And I have counseled many others through times when great loss was experienced under this influence, loss of husband/wife, job, child, or simply the innocence of youth that all will be well. It takes great courage to move through the underworld that Pluto rules and reach the other side with dignity and wholeness. One may be bruised along the way but ultimately it is a test of strength that leads you to greater awareness and awakening of your life’s purpose. It is true that part of your life might be permanently altered at the end of the Pluto transit time frame; however the gift is to be able to rebuild your life, your beliefs and your dreams with a deep maturity, more internal power and greater understanding of life.